THE GOG BLOG by RORY SPEARS, Director of Content and Creation. 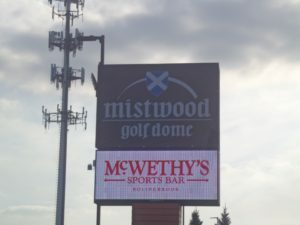 Follow Rory on Facebook, Linkedin and Twitter @GogBlogGuy The lights are on in the Mistwood Golf Dome. IT’S THE MOST WONDERFUL TIME OF THE YEAR. So they say, not so much for outdoor golf, especially as we head into winter and there is a fair amount of snow on the ground. The good news is that winter season around Chicago can now be referred to winter golf season, and yes there is a winter golf season in Chicago. 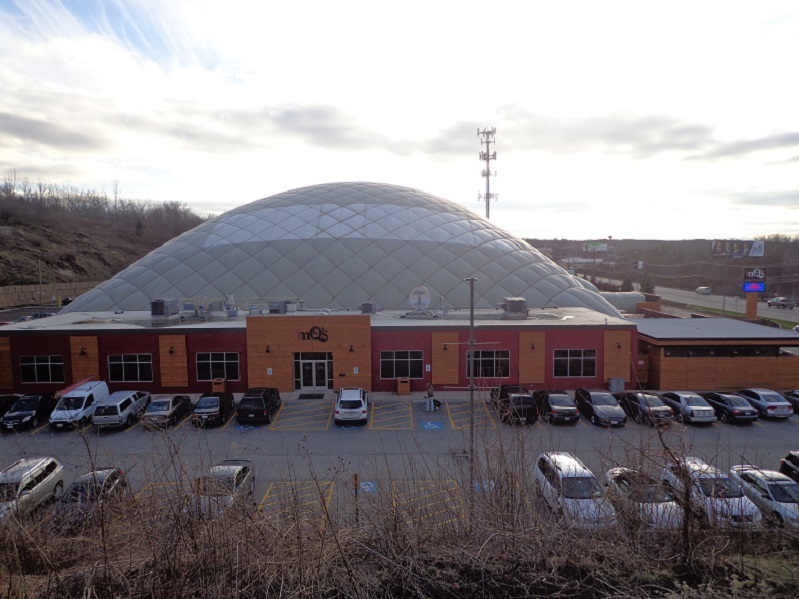 There are golf domes, led by the recently renamed Mistwood Golf Dome in Bolingbrook. 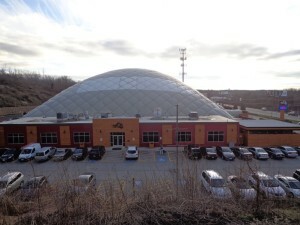 The dome is now open until 10 PM everynight. Owner Jim McWethy continues to do things right, and do them in a first class way that is catching the eye of those who love the game. 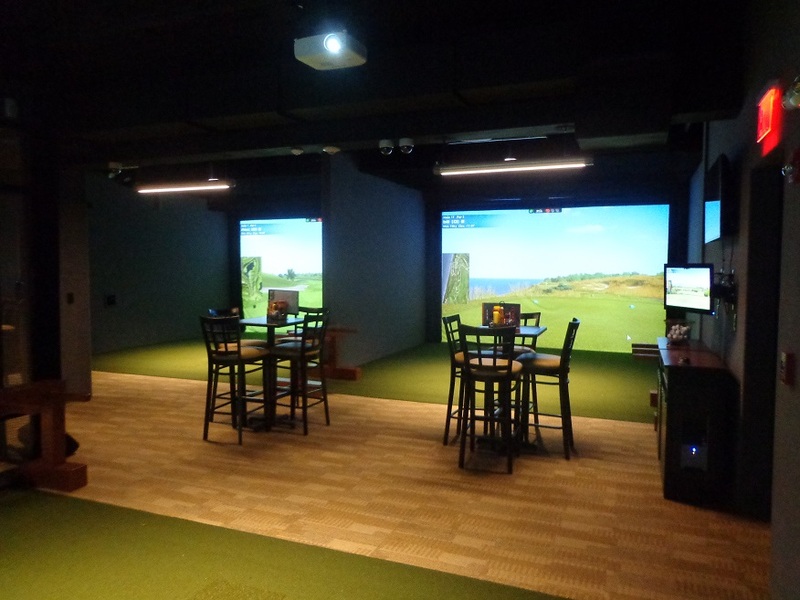 Some golf clubs like the Schaumburg have used the extra clubhouse space they had to create a simulator area, that’s become a home for golfers seeking to play some of the Top 100 Courses in the rankings. 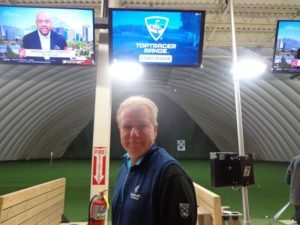 Blackberry Oaks GM and head professional Chad Johansen has taken his golf lessons on the road a full 3 minutes down the street from BBO, and found a winter home at the Go For It sports facility. Golfers are taking lessons, getting fitted for new clubs, or trying out the new models to see what should be on their holiday gift list. For those in the market on equipment, there some deals to be had right now as companies sell of the 2018 models or clubs that will be replaced in 2019. The PGA Merchandise Show is coming up in 50 days, where all the new stuff get unveiled. So if you can wait until February to get all the newest stuff, do that. If you need a deal, still not a bad idea to go see what is out there right now. 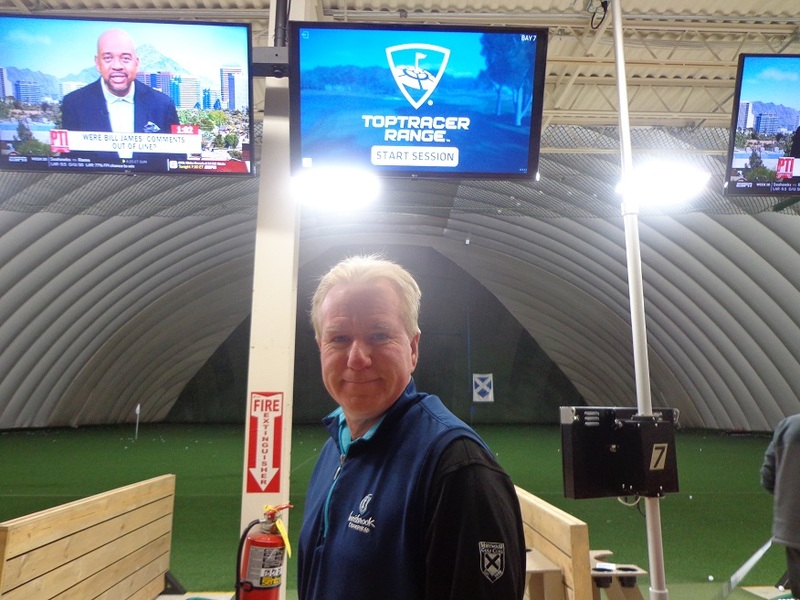 The PGA Tour Superstores in Downers Grove, Vernon Hills and Schaumburg are good places to start. A majority of clubs have holiday sales going on right now. It makes plenty of sense to visit websites or better yet just pick up the phone and check out who selling what, for what. I went to the Cog Hill Holiday Sale on Saturday, and found plenty of great deals, in the 2-4 Building. Speaking of Cog Hill, their driving range is open and year round for that matter. The stalls have roofs over them with heaters blowing down the warmth while you hit outside. Around a dozen golfers were doing that on Saturday morning, while I was at Cog Hill. What was nice was catching up with Cog Hill owner Frank Jemsek, and I’ll let you hear from him coming up later this week on a variety of topics. Jemsek reminds golfers that Cog Hill is open all year, at least Courses 1&3 are. 1&3 will host the Eskimo Open on Jan. 6th, maybe right before kickoff of the Bears first playoff game. Coghillgolf.com to sign up or call Cog Hill starting on Dec. 15th. On Saturday the holes were 65% grass and about 35% snow covered. Go play, yes it makes sense. What else is making sense, is the amount of golf course projects happening not only here in the USA, but around the world as the game continues to grow around the globe. Famous golf names like Jack Nicklaus Design and Gary Player Design seem to be busy in several countries. In the states it’s still more about renovations, but they are happening and courses continue to improve. OUR BIG 3 partner Len Ziehm was just at the reopening of the South Course at Innisbrook Resort Innisbrookgolfresort.com, Ziehm also stopped and played the newly redone Pinehurst #4 as well (lenziehmongolf.com). Innisbrook and Pinehurst are among warm weather destinations that are making sense for destination golf trips, because their improvements make sense. Reunion Resort in Orlando has built a new clubhouse at the Nicklaus Course, that includes memorabilia from the Golden Bear himself. The Nicklaus team is working a renovation on the Great Waters Course at, Reynolds on Lake Oconee as it’s being called now in Georgia, where former head professional at Medinah Country Club Mike Scully has taken over as the properties general manager. Kiawah Island Resort continues to make upgrades in advance of the 2021 PGA Championship coming back to the resort. In Myrtle Beach, South Carolina, where the 35th World Golf Amateur Championship with a field of 3,200 golfers was played last August 27-31, there was plenty of dollars spent there. The economic impact of the event was $14,300,000 dollars for the Myrtle beach area, and that makes a lot sense to me as to why you have an event like the World Golf Challenge. See MyrtleBeachWorldAmateur.com for details on the 2019 event. As common sense would have it, golf even in Chicago has become a year-round season, and whether your golf this winter is here in town, or allows for a run to warmer weather, it makes sense to enjoy the improvements that clubs or domes are making, to make golf a better experience wherever you go.